Cosy up in style next to the Flambe Fireplace by Rugiano Interiors. 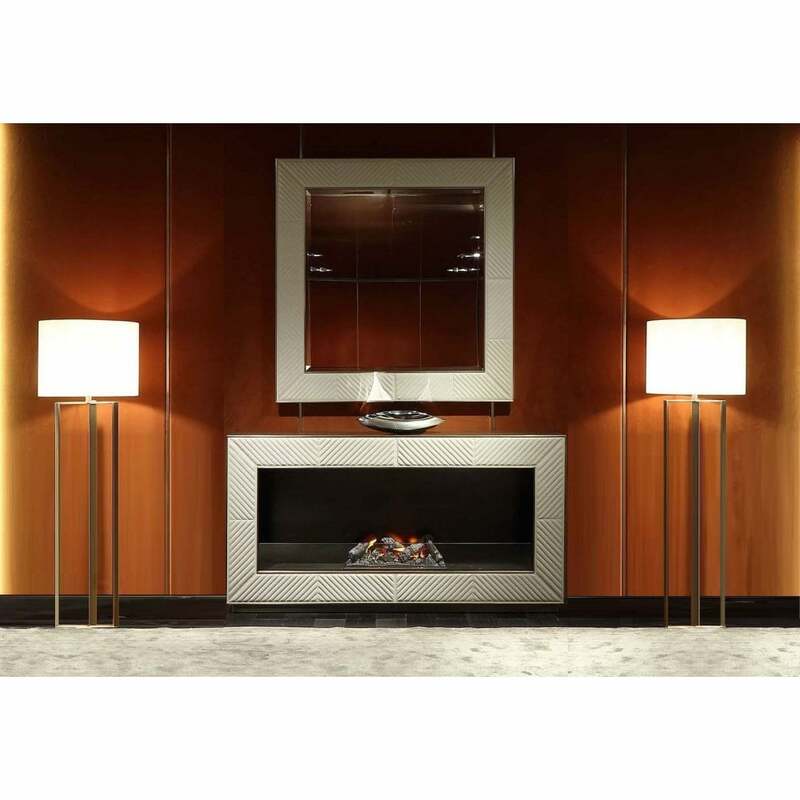 The ultimate luxury fireplace, Flambe features a steel or bronze surround framed in quilted Pelle leather. Choose from either a smooth or textured material to complement your furnishings and fittings. We especially love this design in the shimmery gold hue. This electric and water fireplace is crafted to the highest quality by skilled artisans. Finished with the utmost precision, each panel is upholstered and stitched together for a bespoke feel. A chic and modern design, Flambe is available in two sizes. Make an enquiry for more information.